Whether new to teaching computer science or those with several years experience, Nextech's comprehensive professional development course offerings support teachers with diverse backgrounds. Each program promotes growth in teaching practice and provides space to become comfortable with the curriculum and associated teaching strategies. 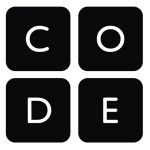 In addition, Nextech has partnered with Code.org to bring nationally recognized K-12 curriculum and professional development to elementary, middle and high school classrooms throughout Indiana. This workshop is intended for elementary school English Language Arts educators who have been asked to bring computer science to their general education and/or ELA classrooms. Teachers will explore the importance of computer science in society and the classroom as well as an introduction to the Indiana computer science standards (both K-2 and 3-5) and how to bring computer science to their already developed ELA lesson plans and projects. Code.org's six CS Fundamentals courses are designed to be flexible for your classroom. How you implement is up to you - teach CS Fundamentals for your next science unit, use it to support math concepts, add technology time to your schedule once a week, or go deeper with extension activities and projects! New to teaching computer science? No worries! Most of our teachers have never taught computer science before. This workshop is intended for elementary and middle school educators who are wondering “what’s next?” after teaching the Code.org CS Fundamentals Courses E, F and/or Express. Teachers will participate in a hands-on experience learning the capabilities of the micro:bit and how to integrate using it in their CS Fundamentals classroom. Additionally, educators will learn about other free curricula to expand usage of the micro:bit in their classrooms. This introductory course covers a range of topics, including programming, physical computing and data. Students engage with CS as a medium for creativity, communication and problem solving. This workshop is intended for middle and high school educators who are wondering “what’s next?” after teaching the Code.org CS Discoveries. Teachers will participate in a hands-on experience learning the capabilities of the CS Discoveries Circuit Playground beyond the curriculum. This rigorous, engaging, and approachable course explores many of the big, foundational ideas of computing so that all students understand how these concepts are transforming the world we live in. This 3-day workshop will cover the 7 cybersecurity topics found in Derek Babb's Cybersecurity Course (Ethics and Society, Security Principles, Classic Cryptography, Modern Cryptography, Malicious Software, Physical Security, Web Security) while also learning how to navigate GitHub and the provided curriculum and related resources. On the final day of the workshop, educators will be invited to some of Indianapolis’s top security companies to experience and witness first-hand what goes on in the industry on a day-to-day basis. SCRIPT workshops bring together teams from school districts where participants are led through exercises to help them idenfity appropriate resources and partners, create working groups to support computer science initiatives, and identify short term goals to make progress on the CS efforts of your district. These 1-day Classroom to Career workshop opportunities are open to all K-12 Nextech teachers. They are fun experiences to help teachers understand how computer science impacts different careers so that they can best help their students understand the multitude of industries and opportunities available to them in the subject. Join the High Alpha team, along with Nextech's Chairman of the Board and High Alpha Managing Partner, Scott Dorsey, to learn about the tech scene in Indiana, directly from a team that partners with exceptional founders to create and fund companies. Participants will have a chance to explore the inside of a tech company in Indy, learn about various roles and responsibilities in tech, and interact with various companies from within the High Alpha portfolio. The Kronos Indianapolis Technology Center of Excellence is opening their doors to Nextech partner teachers to learn more about how their business. Kronos is a leading provider of workforce management and human capital management cloud solutions. Kronos industry-centric workforce applications are purpose-built for businesses, healthcare providers, educational institutions, and government agencies of all sizes. Tens of thousands of organizations — including half of the Fortune 1000® — and more than 40 million people in over 100 countries use Kronos every day. Learn more about Kronos here: www.kronos.com. SEP is one of Nextech's favorite partners, and we are sure after spending the day at their office and Design Studio, you will feel the exact same way. SEP partners with software companies to develop software products. They offer a variety of services within the software development lifecycle. During this summer micro experience, you will spend the day at SEP learning about the core areas of product design and development (feasible, usable, and viable). You will participate in hands-on activities that you will be able to duplicate in your lesson plans. Nextech proudly partners with Code.org to deliver world-class computer science education curriculum and professional development to schools across Indiana. 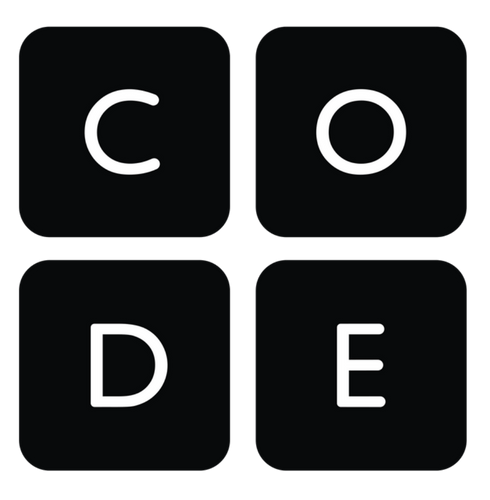 Code.org® is a non-profit dedicated to expanding access to computer science, and increasing participation by women and underrepresented minorities. The organization’s vision is that every student in every school should have the opportunity to learn computer science, just like biology, chemistry or algebra.